Summer will soon be upon us, and with that season will come a question: Where is the nearest beach? As this heat map of distance from a coastline from NASA’s Ocean Biology Processing Group shows, for some of us that answer is quite close, while many of us are nowhere near our closest coastline. 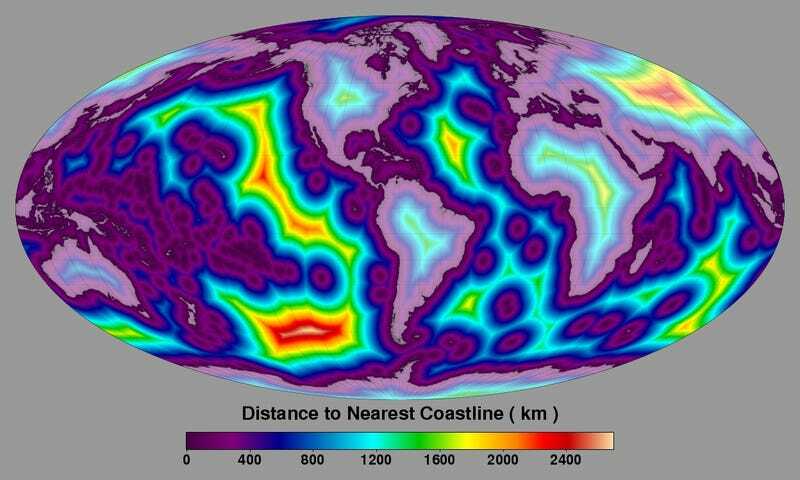 Of course, it’s not just a map of what’s nearby, it also serves as a map of where on this planet might be particularly remote, in those large red splotches in the middle of the ocean where land is far, far away.